A video promo of your book is easier than you think. There are several free programs that will stitch pictures together. Even the newest iPhone has this feature. If you have Microsoft Office and know how to use Microsoft PowerPoint, it is easier still. Make several slides with pictures to give a visual short synopsis of your story. Add commentary or dialogue to pique interest using text boxes or audio clips. Add music within the PowerPoint presentation, or wait until you create it as a video. When you are finished, save a copy as a PowerPoint presentation so you can edit if you wish. 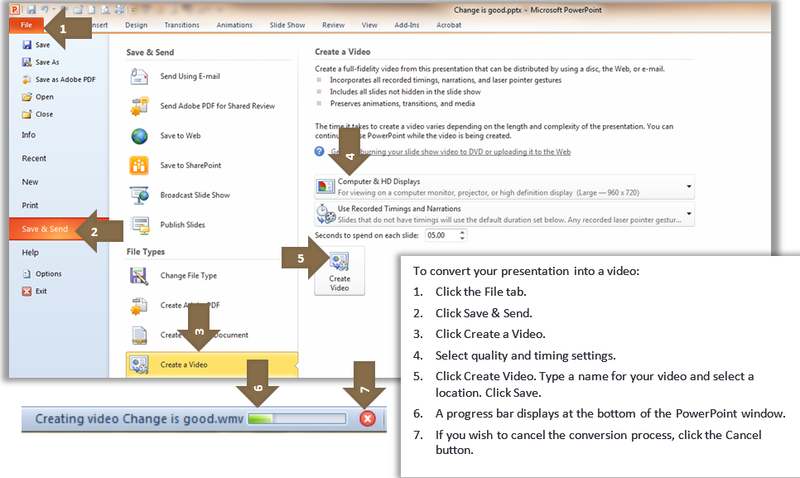 Microsoft PowerPoint 2010/2013 provides a way to save your presentation as a video in only a couple clicks. Save it again as an MPEG-4 (movie). This is what you will upload to the internet. Create a free account on YouTube. Upload the video and reach the worldwide market. YouTube even provides royalty-free music to enhance your video. You can now post this video on social media, on your website, or anywhere else on the internet! I would love to help you create your video/book trailer! The price starting at $100 is based on the project of 4-6 slides. Price will increase if background music is added, or special music and pictures need to be purchased. Contact me with your ideas! I put the email subscription link near the top now – on the right-side panel. You can click on that to get future posts. Thanks for stopping by!